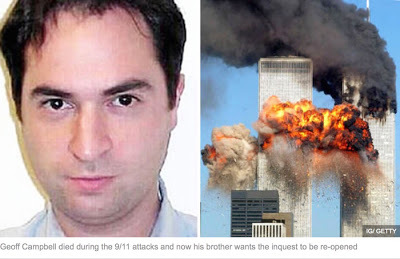 The Sunday Express interviewed Matt Campbell – who is seeking a new investigation into the death of his brother in the 9/11 attacks – under the headline Brother of Briton murdered during 9/11 attacks calls for inquest to be re-opened. The report in the Express emphasised the lack of hard evidence produced to support the official account of how suicide hijackers took America by surprise and flew two planes into the World Trade Center and a third into Pentagon. In this interview, Matt Campbell discusses his progress towards getting an inquest into the death of his brother Geoff, who is believed to have been on the 106th floor of the North Tower when it was explosively demolished on September 11th, 2001. In the middle of the show, we hear Kevin’s recent ten minute interview with South Africa based Radio Islam International. During final 15 minutes, Rolf Lindgren admits he was wrong in forecasting Martin O’Malley to win the Democratic nomination, then offers another prediction: Trump will defeat Clinton in the general election. This show was broadcast on March 7, 2016. This entry was posted on Thursday, March 3rd, 2016 at 7:19 pm	and is filed under 9/11, Anti-War, Education, False Flag/Fake Terror, Freedom, Geopolitics, Justice, Kevin Barrett, News, Politics, Protest, War Crimes. You can follow any responses to this entry through the RSS 2.0 feed.